There are many features. Sadly, like much B2B software, the only thing this has going for it is the inertia of companies having chose it years ago. There's no reason to start using this software now that there are so many better, more well-maintained, and cloud-based solutions. It is one of the buggiest pieces of software I've ever used. It requires constant maintenance and troubleshooting. There are tons of cloud-based solutions that don't come with these issues. It has lots of features but they still only apply if your business works in a specific way. It's also so complicated and convoluted that you need to hire a consultant to modify almost anything. It seems like it has powerful features, but they're not intuitive or accessible, and, in reality, the program struggles with even the smallest tasks. Consider a cloud-based solution instead. The only businesses still using this software are ones who started using it many years ago. Tracking and billing time and costs. The benefit is that we accomplish that. But it is obviously far from the best solution. It seems like a well thought out program so that made it a very thorough tool for project management that would often make me aware of things I should be tracking that I hadn't thought about. some of the project step tracking was so in depth that it made it a burden to update, and more work that didn't seem to add any value. also it didn't seem to allow more than one person to download a document and edit it at one time - not that that is an easy or desirable thing to allow but if it coordinated people's use of documents better it would have made that less of an issue. I would say definitely use it if you need help with project management and staying organized but you have to be pretty consistent with your use of it, otherwise the benefits it provides essentially go away. The business problem it is solving is project management, including holding ourselves accountable to a calendar with deadlines, and giving our client a place to check project status without having to inquire of me or my firm. it also helps serve as a database for files. The benefits I have realized is being more organized and in sync with my clients. "Timeslips gets the job done"
Sage Timeslips is the only timekeeping software I've used, so it is basic and what I have learned from. It can be very time consuming putting in and keeping the time on the software. Sage Timeslips gets the job done. It is adequate and easy to look up time, but time-consuming to keep and track it. As an attorney, timekeeping, billing and bill pay are very important. I use Sage TImeslips to keep and track time. "Takes a bit to get used to..."
I like the multiuser mode the best. If you're using this in an office with multiple people needing to bill users/clients, this is a pretty seamless way to do it. You don't need a domain controller to utilize and using it within a workgroup setting, once configured, is flawless. If you lose network connection, it appears you need to reboot the pc acting as the server in order for there to be a connection. Customer support is incredibly limited and you must have a support license. Purchase the full support to get access to setup assistance and support for a few months after installation/purchase. We were using an old program called Abacus and another one that were from 2003. Once the PC's were updated to Windows 7, we purchased Timeslips and made life a LOT easier. It was faster, more fluid, and genuinely more pleasant to work with. We didn't have to use 4 programs anymore, just Sage Timeslips. "Program is not very user friendly." Time entries can be entered fairly easily. Making changes to databases, invoices, statement information can be hard to accomplish. Adding interest to statements is difficult to find and enter. The support for this product is not very good. You either have to pay upfront for support and pay by the hour and even when you speak with support they do not seem to be of much help. Having to hand type invoices. "Best Accounting Software for Support Staff"
That it has been around for so long and is so easy to use. We literally have some attorneys in the office using Timeslips from like 1994. That after about 5 years technical support is no longer available for older products. Older attorneys are not willing to upgrade software that still works, but if you get hired new on, its difficult to explain when there is no resource to call for answers. Longevity of the product, amazing reports, I believe it will sync with Quicken if you want it to. It really is the best bang for your buck - I have used Tab before and i much prefer this billing software. I like that I can print an accounting from Timeslips, my boss prints an accounting from his bank and we can reconcile all trust accounts in about 30 minutes each month. So easy to use and figure out. "Easy to Use Basic Billing and Timekeeping Software"
Its a very easy to use program. Installation of new versions is easy and technical support staff are very helpful. We dislike the inability to undo invoices. With the program you can only undo the last invoice sent and we've run into issues were there were mistakes with more than one invoice and have had to come up with other ways to correct the program rather than being able to simply undo an older invoice. I recommend purchasing a support plan with the software. The updates to versions are not usually significant enough to justify purchasing every year. We typically purchase the newest version every other year. This program is a low cost solution to billing our clients. It is also very easy to train new staff to use the program. Limited customization and interface is very clunky. Printing is hidden and has few options. You cannot put in layers of approval. Viewing history and calendar views are not intuitive and have few options. Plan a transition time. You must do your own training so prepare plenty of examples for staff. Eliminated in-house software and server to run time off requests. Reduced staff needed for time keeping. "Timeslips 2018; installation tech support is NOT dependable!" For routine install of the program to my in office network was well done and politely handled. 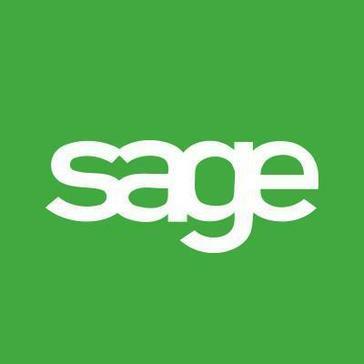 Sage is an accounting program that links seamlessly with Lexis Nexis Time Matters. I've been a customer for about 16 years. I like that is it user friendly and performs various functions such as: generating reports to see how we are doing monthly. Also I like seeing what accounts have overdue balances and how long they have been over due. I dislike how some aspects of reports can not be customized. Additionally I do not like how I cannot just delete an invoice from the A/r screen once another invoice has been created, sometimes creating additional payments or credits to balance the account. Do not hesitate to implement this software because it can be used for various functions within a corporation. Timeslips allows us to record our time per client, bill clients, and provide up to date status of our accounts receivables. We utilize this program to perform our monthly and daily billing. We have benefit from this product during a time when we needed detailed reports to collect from past due accounts. I like that I can visualize my time for the past 4 weeks in Timeslips Today as a way to monitor my billable hours and motivate me to find more time to bill. When selecting a 'Client' while creating a new Timeslip, the field has a short time frame for accepting what I type. If I pause even slightly, the software decides for me the file number I wanted to use. This has been a great product for our firm. The cloud based version makes it easy for users without access to the software on our server to enter time and have it imported into our server based system for billing. This is how our firm tracks our time and billable hours so that we can generate invoices and track our A/R's. It makes the billing process run smoothly and efficiently. Not much. Anytime we have had to contact support or call them for help we often know more about the product than the initial level of support (or can figure it out on our own faster than they can on the phone). There are a few people that have been helpful, but most of them are terrible - Must be a company policy. It's awkward to use, not intuitive, their support and sales are TERRIBLE (don't expect any help if you have any questions). Don't use TimeSlips, go another direction that handles more than just billing (and struggles with the billing aspect of the software). We've struggled with TimeSlips for a few years now and we're done. We'll definitely be going a different direction. The final straw was when we purchased a new computer but our activation codes would not work, so they charged us almost $300 to get the same activation codes that we had already paid for. I like that its interface is pretty easy to use and straight forward. The timer function is also good for attorneys--like myself--who may not be able to keep track separately. The program, at least up until this current version, used to crash quite often. This is no longer the case. My only other comment is that "Time this Month" always shows a higher number than actual time logged. Make sure that your IT team is keeping a good backup at all times. I am an attorney who needs to keep track of various tasks and time spent doing them. Timeslips is a good software for this. Electronic time keeping, electronic, billing and ease of matching fee in program with fee made with client. "Great interface but problematic when needing to install OS updates"
The user interface is easy to use. It is very detailed and has great presets for our practice. Almost everything we need we are able to preenter so we do not have to start from scratch each time. Easy to shift between clients and attorney billers. Every time we have needed to update our operating system we have had major headaches with Timeslips and it has required many hours on the phone and on email with customer service before the issue has been resolved. The software licenses are too expensive to enable us to have a version running on each of our computers/there is no remote login so an associate cannot enter time without being on the main attorney's computer. If you are a frequent updater of your OS this software may be problematic for you. Particularly in our case because we use Macs and run Timeslips in Parallels on a virtual windows machine. Using it otherwise has been wonderful. I wish that Sage would create a mac compatible version and an IOS compatible version. 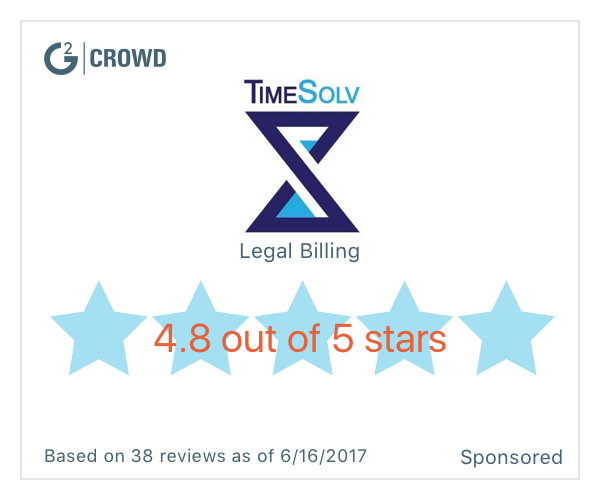 The problem this software solves is accurately and simply keeping track of attorney billing in our two-attorney practice. The benefit is an efficient way to track our time and generate statements explaining our charges to our clients. Timeslips was relatively simple and straightforward. Maybe the thing I like most about it is also the thing that does not make it spectacular. I liked the timing feature. It was bland to look at and sometimes sorting billable time by client was a difficult task. I felt like it might be an application that is getting lost in the pack because of its blandness. I have a feeling big firms would not get everything they needed from the application. It is not shiny and new. It is a classic billable tracking application. We used sage timeslips to keep track of our billable hours. "Beware -- no customer support unless you pay to upgrade software"
Nothing. They try to upsell you every year or else you lose customer support. Beware -- they try to sell you upgrades and if you do not spend thousands of dollars to upgrade your software each year, they will not provide any technical support (even if you offer to pay for the support). Very user friendly and does everything we need it to do. It can handle simple tasks with ease and the support is phenomenal for more complex situations. You must log in even when logging out accidentally and reopening immediately. Highly recommend so that you spend time helping your clients instead of billing them. Easy to use and gets the bills out with just a few keystrokes. The time it takes to bill monthly is so much more streamlined and that equates to saving money! This software will accomplish anything you need with a standard time entry program. It’s flexible and transparent. This software will shut down if it detects that not enough licenses are being used. There should be a warning first. "Reliable Program, Lacks Elite Features"
Ease of use when inputting billable time, though the process could be a but more streamlined. I appreciated the classic template which puts everything in front of you so that you can review prior data before inputting. The overall program lacks elite features to track time and billables in real time while operating in the background. They do have a clock/timed feature to track actions, but would prefer not having to open the program each time to do so. I would prefer some kind of feature that allows pop-ups to track time. For those looking to utilize timeslips, its a solid program with basic ease of use functions. If you are willing to spend more on software, other programs can offer elite feature, but for non-frills functions and solid performance, timeslips is the way to go. Ease of use has made it more efficient to better capture time and billables. As lodestar is very important to our business, a reliable program is a necessity to track billables, especially in litigation that spans the course of several years. Timeslips helps reassure us that we won't have any unforeseen issues when the time comes to submit hours. It's easy to enter and correct time prior to billing. You can close old accounts, but easily open them again if necessary. It takes a bit of practice, but once you get used to it everything is easy. An all in one billing and client record. Product was easy to use right after loading. The navigation page is useful. The number of different pre-formatted bill formats is helpful, but a little overwhelming. I found it a little difficult formatting a bill if there was not one pre-formatted that I like. Time and billing within my firm. Good reports to track the time and billing have provided useful insight to my firm with regard to the billable time and hours spent on various clients jobs. "Easy to use, but difficult for remote users"
I like how easy it is to exchange remotes and generate pre-bill worksheets. I like how seamless the process goes. I dislike that some attorneys that work from remote desktops seem to be unable to connect, but we have been managing this remote exchange despite the difficulty. I dislike that timeslips has become more outdated over the years. We manage and calculate hours so it solves the issue of not knowing how many hours we have. I like the simple usability and the fact that it helps me accurately bill clients. Easy to switch between clients and enter times. The software license is pretty expensive to use. Sometimes there are issues when upgrading operating systems and I have occasionally experienced a ram/memory error error which requires me to restart the computer. Get the newest version possible if its your first time as software upgrades can be expensive and there will be more bugs corrected. Streamlined process in capturing time spent on various projects. Easy to generate accurate statements, print out, and manage my practice. Sage Timeslips 2017 is a versions of Timeslips that is available for purchase with a perpetual license. No annual subscription fee applies to this version. The software can be downloaded from Amazon. The version available from Amazon is effectively a 30-day trial version, because Sage has no process in place to allow registration of the software downloaded from Amazon. Timeslips is the standard for time accounting for professionals who bill by the hour. The ease of inputting data into the program. The speed of the program, runs very slow and takes forever to reload once you hit save. Tracks attorney time and billable hours. I like how simple it is to use. Very basic. That once you close the bills for the month and accept it, you can't go back and make any changes if I need to. When it comes to the law world, its the best I seen in order to keep track of time and billing. It's easy to keep track of who you are billing and how much are you billing for. Billing, its really easy to keep track of. "Has a lot it can handle"
I like using Sage TimeSlips for entering our time for billing. The program is pretty self-explanatory. I don't like however that there isn't a larger character maximum when saving new matter names. Great tool for keeping up with records and values of billing for the month, etc. This program is great for our accounting department to finalize billing for payments. I do like that I can go as a timekeeper and check on previous months past to review billing from another client. "Deprecated product that was mediocre even at its prime"
Timeslips is an easy product, doesn't require much learning to actually use, and not ridiculously price. The product is deprecated and Sage doesn't seem to support it anymore. It was useful for the most part and got the job done, but now it's basically hidden on the Sage website. "Great software for billing time and expenses!" The ease of entering and editing time. The simple pull downs are easy to use. The ability to search could be made more user friendly. A great software for entering and managing time a disbursements. Easy global changes and editing features. Quick and easy time entry and editing. Useful word codes that help with global edits (no charges). Invoice options and reports are good, if you can navigate them. LEDES is extra. Often seems to have bugs. Check other software, such as TimeSolv first. Make sure you know exactly what your needs are before implementing, because once you do, it is very time consuming to switch from it. Time and expense breakdown is concise. I like that the program is very easy to use and navigate! Generates bills very easily that can be sent to customers for payment! I don't really think there is anything I don't like about it. "A Little Convoluted, but Gets the Job Done"
I like that I can track my billable hours. As a Third Party Administrator to 401(k) plans, it is very important to know how much billable time that you are spending on a plan. I don't like that it seems to get slower with each user that you add to the system. "Good product, Slow to function"
It is a user friendly program. After using it a few weeks it is easy to get used to. Time consuming - There are a lot of features that could be cut out. "Easy to use but limits on users"
Searching for clients and previous entries is easy on Timeslips. Timeslips limits the number of users who can be logged in at a single time. * We monitor all Sage Timeslips reviews to prevent fraudulent reviews and keep review quality high. We do not post reviews by company employees or direct competitors. Validated reviews require the user to submit a screenshot of the product containing their user ID, in order to verify a user is an actual user of the product. Hi there! Are you looking to implement a solution like Sage Timeslips?